Vulcan Park and Museum in Birmingham, Alabama, features a landmark statue and small historical center located on top of Red Mountain. Completed in 1904, Vulcan is an artistic representation of city's forging industry symbolized as Vulcan, the Roman god of the forge. 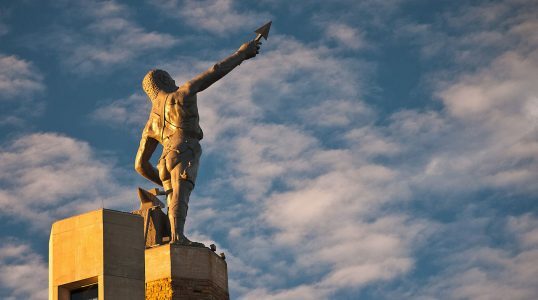 The museum, which opened in 2004, tells the story of both the landmark Vulcan statue and its connection with Birmingham's history. The site was added to the National Register of Historic Places in 1976.